Anyone can get rewards for promoting Angry Panda tokens: ROAR, XPAND, UBEAR, EBEAR. First of all, our tokens are Waves-based and actually available for sale only on Waves Decentralized Exchange. Furthermore, we would like draw your attention to the fact that visibility doesn’t always result in an investment and therefore it doesn’t guarantee an economic return. Because of this, in compliance with our policy, we reward only the results obtained concretely and not the random possibility of future returns. Moreover we think that if a promoter really believes in a project, he should accept a payment with the currency of the project itself. For this reason we give rewards on referred sales or for specific services, to be paid exclusively with our tokens. 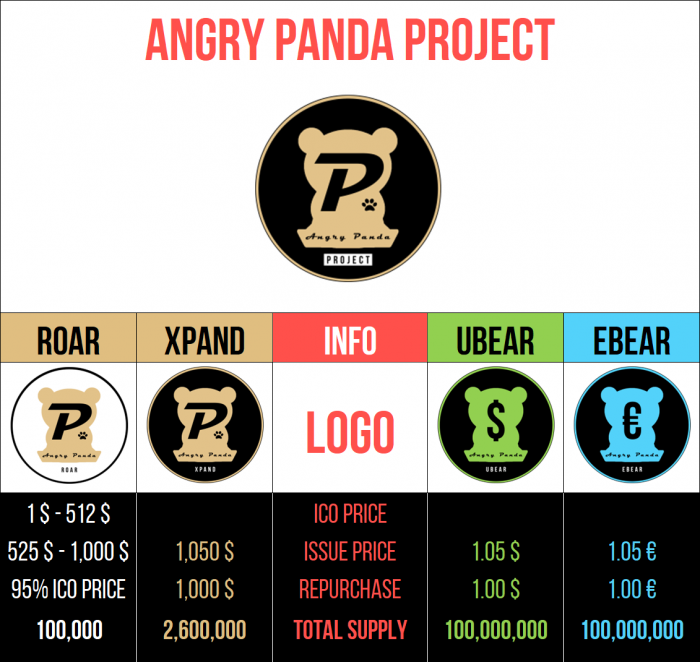 Consequently you can immediately sell to us Angry Panda tokens to get your money, at any time and for any quantity. Steps 2: you get a percentage if the buyer added your Waves Address in the “descripton” field of that transaction. The amount of the reward you get depends directly by the amount of tokens bought in that transaction. A fixed reward will be established by both parties involved for a review in the form of article, a video review, a translation or other services to be paid in ROAR tokens. – the advertising or publication of articles on media, based on the number of views or clicks. Accordingly, if you want to promote Angry Panda project, you must read and totally agree with this policy, then feel free to contact us to discuss further details.